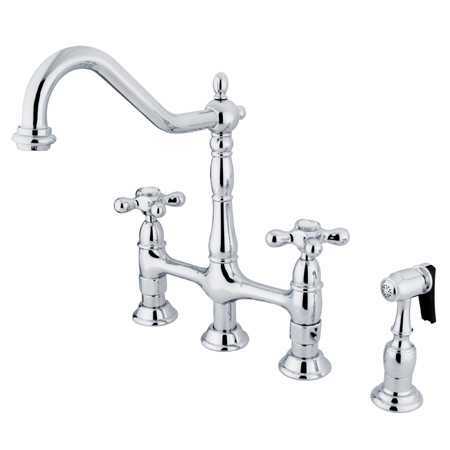 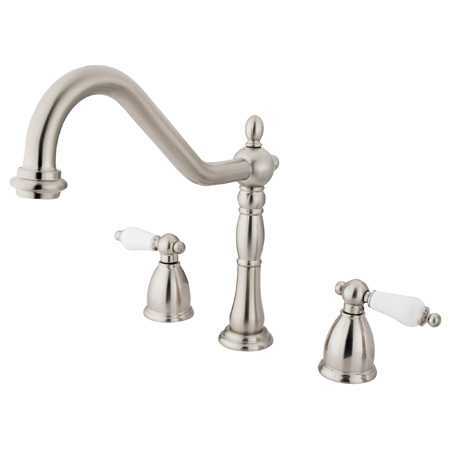 The American Standard Heritage 2-Handle Kitchen Faucet in Polished Chrome with Soap Dish features porcelain lever handles that are ADA compliant for universal use. 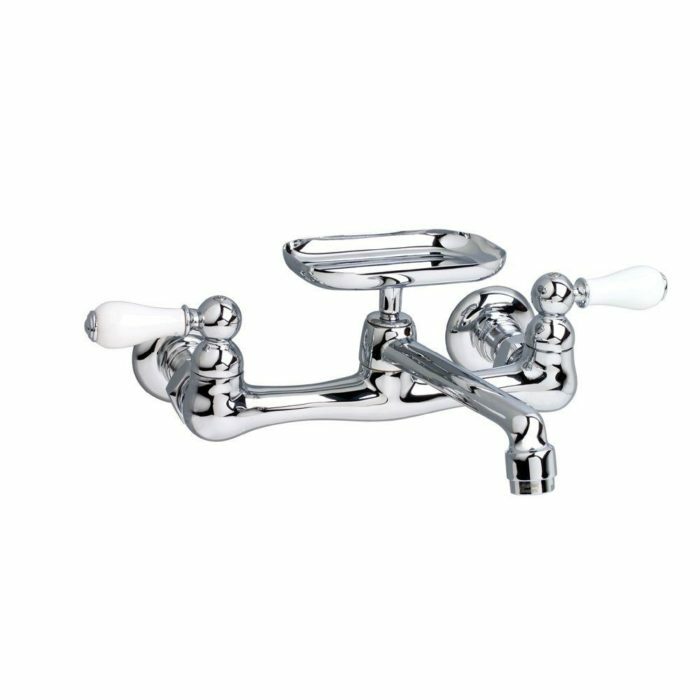 The polished chrome finish is sure to coordinate with almost any kitchen decor. 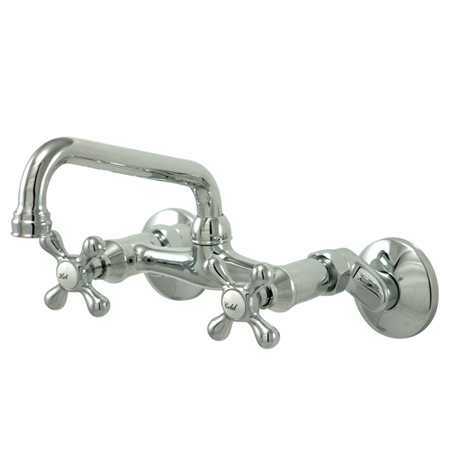 The 5-5/8 in. 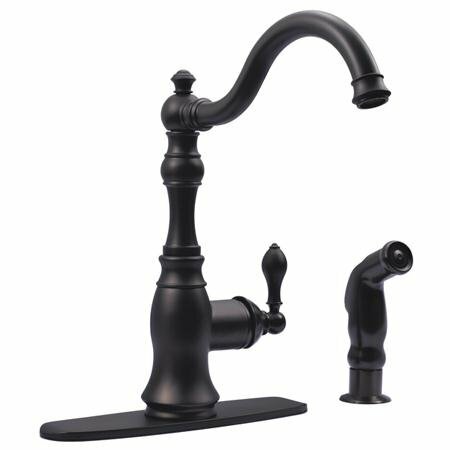 wall-mounted, swivel spout ensures easy sink access, even when working with deep pots.